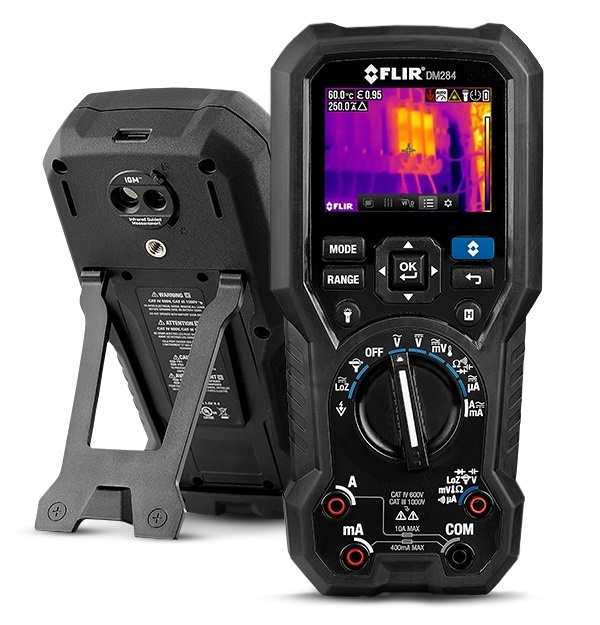 The FLIR DM284 is a professional, all-in-one True RMS digital multimeter and thermal imager ideal for field electronics, commercial electric, light industrial, field service, and HVAC work. 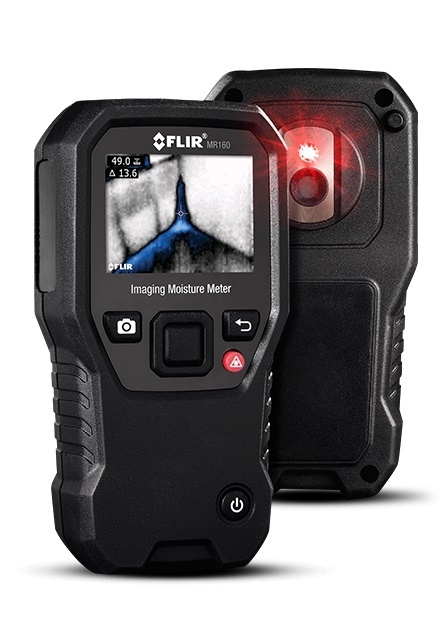 Featuring Infrared Guided Measurement (IGM) technology powered by a built-in 160 × 120 FLIR thermal imager, the DM284 visually guides you to the precise location of an electrical problem without direct contact. You’ll pinpoint hot spots faster, safer, and more efficiently. 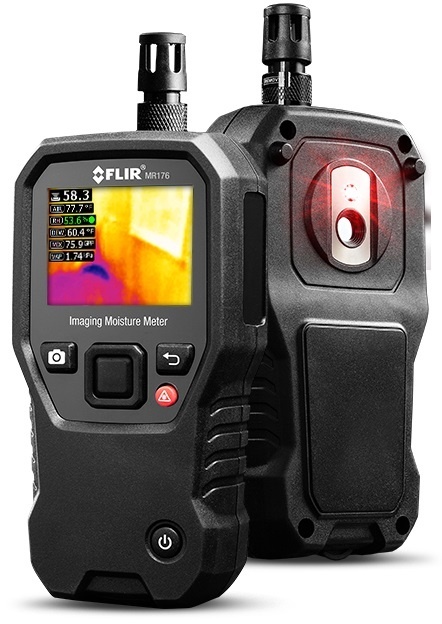 The FLIR DM284 and DM285 are industrial, all-in-one True RMS digital multimeters and thermal imagers that can show you exactly where a hot spot or temperature anomaly is for faster troubleshooting. 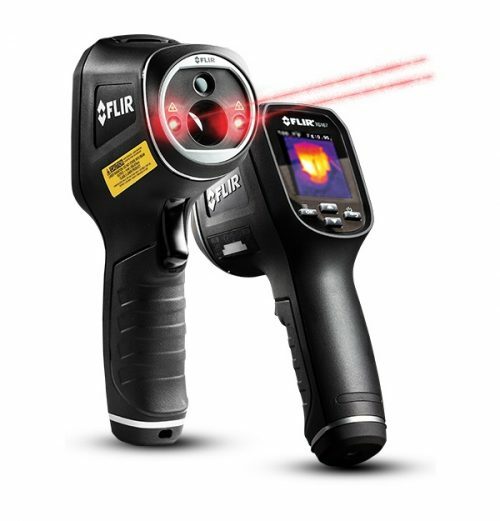 Featuring Infrared Guided Measurement (IGM™) powered by a built-in 160 x 120 FLIR thermal imager, the meters visually guide you to the precise location of a problem. You’ll pinpoint issues faster, more safely, and efficiently. Both multimeters are ideal for inspecting industrial electrical, mechanical, HVAC/R, and electronic systems, and can be used for both benchtop electronics or in the field. 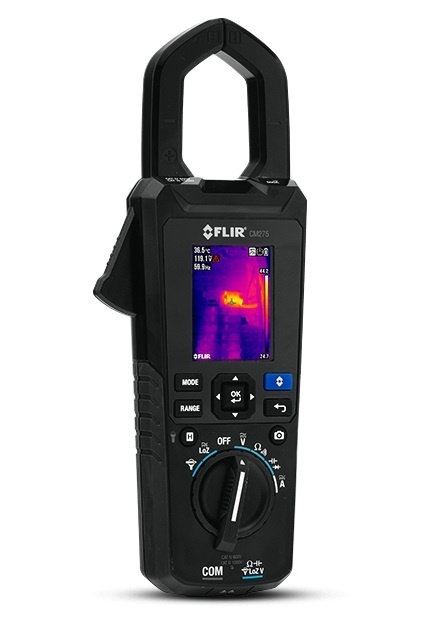 The DM285 uniquely features Bluetooth® which enables wireless data transfer by connecting to the FLIR Tools Mobile app on compatible mobile devices. The DM285 is also compatible with the new FLIR InSite™ workflow management tool that allows you to prepare efficient survey routes, maintain accurate documentation, share information with clients, and file instant reports.